Looks like a moody teenager. 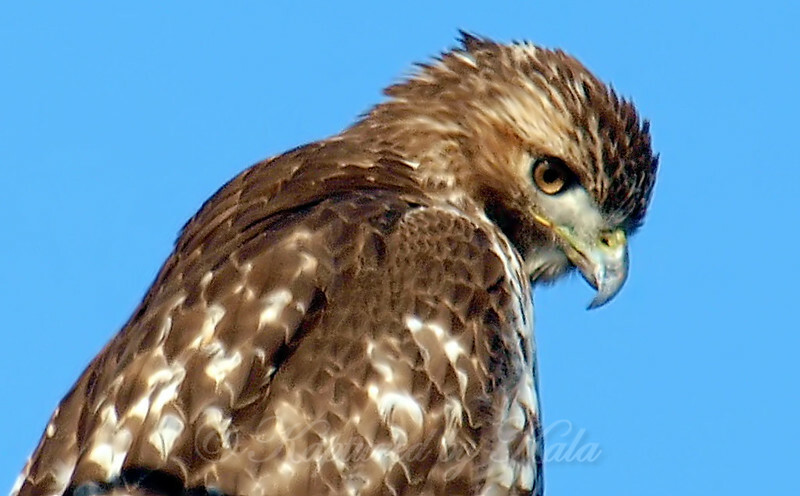 One way to tell a juvenile red-tail face from a juvenile red-shouldered face is the color of the cere, the area where the nostrils are. The red-shouldered would be a bright yellow and the red-tail is more of a greenish/bluish/pale yellow.